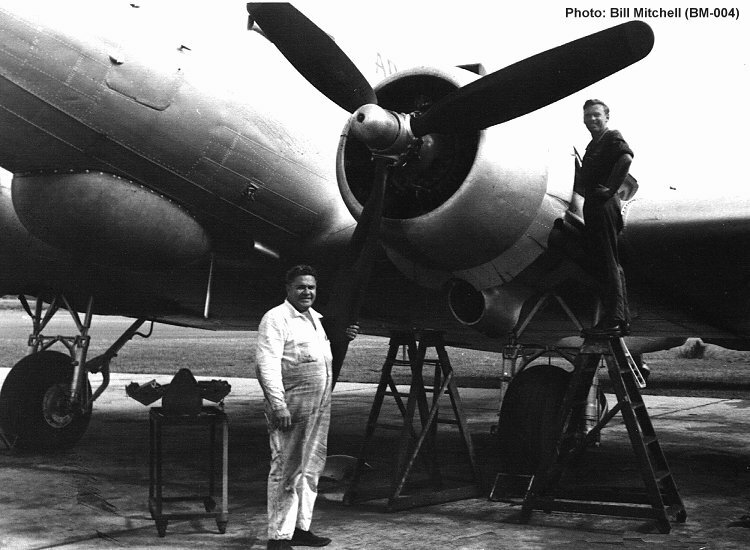 Alfie Thompson and the DC-3 VH-AGU. The place and date are unknown. The other engineer is thought to have been ex RAN Nowra and a specialist on Alvis Leonides engines.